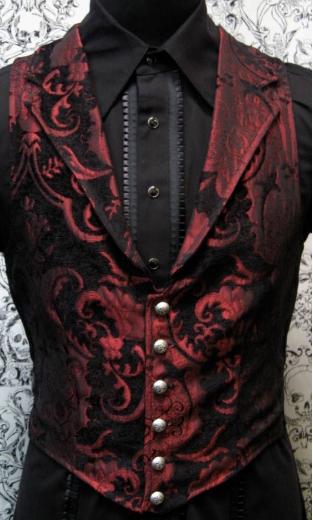 Victorian fashion for men, a very formal type of attire, is a reflection of the Victorian culture of the past, giving men that classy gentleman image. This fashion form encompasses a wide assortment of dress trends, marking the suave male image. Along with the already existent varieties of men’s Victorian fashion which are deeply reflective of the Victorian culture, a fusion of these with the modern tends has resulted in producing newer and smarter collections catering the contemporary man, up keeping style and comfort at the same time. The distinguishing factor between this formal fashion style and others is that in this particular style, excessive use of many different fashion items and accessories is made to give a neat and chic finish. 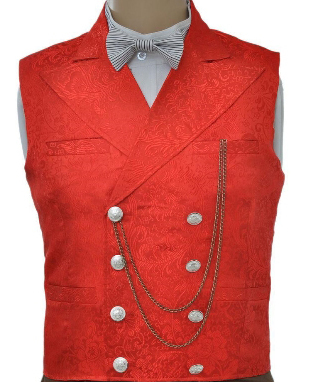 Another very distinguishing factor is the creative style of stitching of the men’s wear which is quite noticeable in the frock coats and skinny pants which are ruffled at the end, morning coats, cravats, waist coats, top hats and tail coats, to name a few.In the formal wear category also, there is a huge variety of suits with waist coats, giving men a well groomed look, all ranging from the loose tea-lengths to the short waist hugging designs. There is also a huge collection of simple plain coats as well as more fitted ones with pleats giving men the liberty to experiment and create more new and stylish forms. For the young boys out there, there is also something to help them maintain style and grace at the same time, with pants and shirts with waist coats being a pretty smart choice . A short retro hairstyle works amazingly to give them just the right sort of look for proms and weddings. One of the hottest carriers of the Victorian fashion trends is the young hollywood celebrity Leonardo Di Caprio. A well groomed appearance is incomplete without a good hairstyle in any form of fashion, and the Victorian fashion has exactly what is required to give men that elite look of the past persona, and that is the gelled wet look. Short and medium gelled center parted, low back pony tail, side parted, and short retro styles are just some of the ways to compliment a true Victorian look. In the shoes section also, there are lots of styles to choose from such as the pointed designs, currently being one of the hottest boot styles to complete the overall look.